Air contaminants that are harmful to human health and the environment are known as Hazardous Air Pollutants (HAP) or Toxic Air Contaminants. ESCO International has developed a range of novel Catalytic Vent gas Destruct Units” ULTRACLEAN” suitable for the destruction of a wide range of industrial toxic gases. 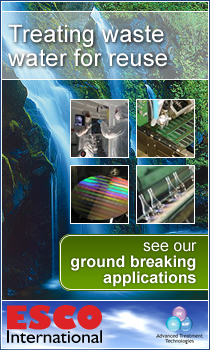 Industrial applications include semiconductor, LCD , and petrochemicals. The treated HAP compounds are hydrides (AsH3, PH3), metalorganics, mercaptans, poly aromatic halogene (eg., dioxin), chlorinated solvents (TCE, DCA), and inorganic acids (e.g, Cl2, H2SO4, H2S). The catalytic vent gas destruct units optimises the use of modern catalysts in order to obtain the highest possible efficiency. Effluent concentrations of toxic gases are reduced to below the safety and health standard, eg. threshold level value (TLV).